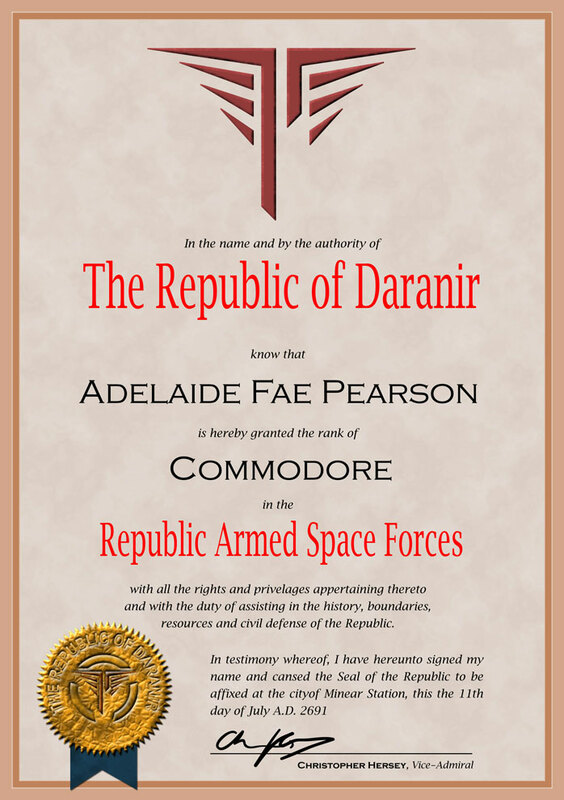 Commodore Pearson's certificate of rank, complete with typos. This is something I made for Pearson's office in Chapter 2, inspired by documents I found while researching 18th and 19th century naval tradition, though it wasonly barely visible . God willing, I should be in New Zealand as you're reading this. Though I can probably find internet access in NZ if I want to, I haven't decided whether I do want to, so I may be incommunicado until the 27th.